The downtown Dayton sub-corridor project will reduce congestion of the Interstate-75 in downtown Dayton. Image courtesy of Ohio Department of Transportation. The northbound entrance ramp and southbound exit ramp were closed during phase 1 B construction. Image courtesy of Ohio Department of Transportation. Phase 2 of the project is expected to be completed by September 2017. Image courtesy of Ohio Department of Transportation. Phase 2 of the I-75 modernisation project involves the replacement of two bridges over the Great Miami River. Image courtesy of Ohio Department of Transportation. 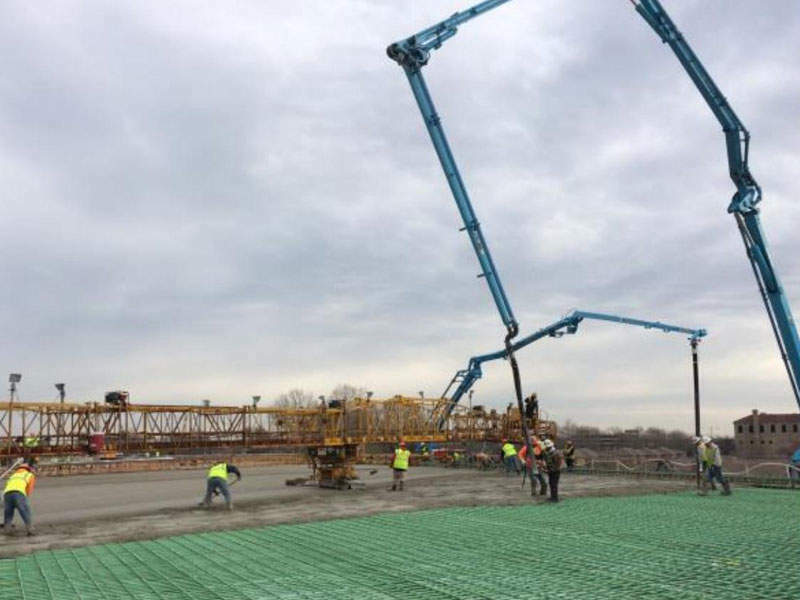 The downtown Dayton sub-corridor project includes widening and reconstruction of the Interstate-75 (I-75) highway between Keowee Street and Edwin C Moses Boulevord in Dayton, Ohio, US. Initiated in November 2007, the project is estimated to cost $382m. The project was a part of the North South Transportation plan, which evaluated the transportation needs of the interstate network from Northern Kentucky, through Dayton to Miami. 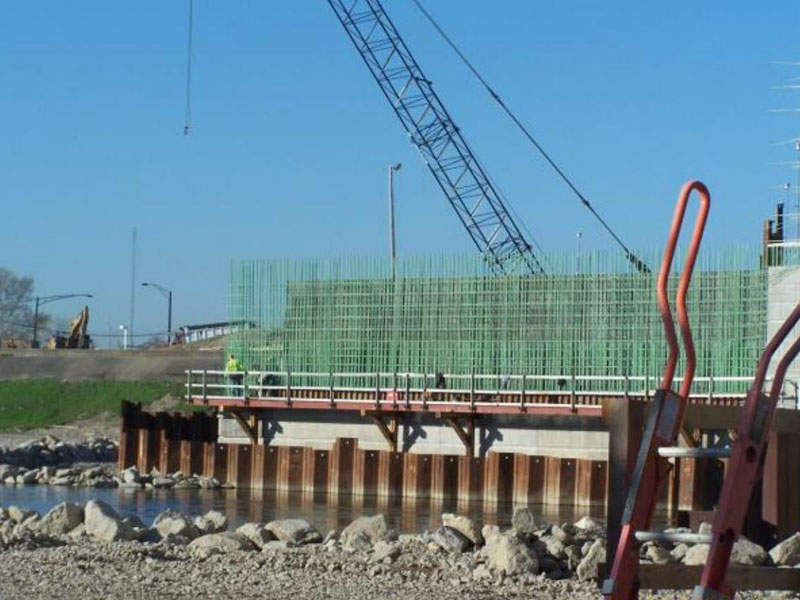 Ohio Department of Transportation (ODOT) and Miami Valley Regional Planning Commission (MVRPC) are executing the project. The modernisation project aims to improve highway capacity and traffic flow, as well as provide a safe and congestion-free mainline. It is scheduled for completion in September 2017. Interstate-75 in Dayton intersects at the major junctions of Ohio State Route 4 (SR4), US 35, I-475 in Perrysburg and SR 15 in Findlay, US 23 in Columbus, and I-80/I-90 the Ohio Turnpike, and I-280 before entering Michigan. The study of the existing network carried out under the North South Transportation plan in 2000 revealed that it is heavily congested, confusing to drivers, and had a high accident rate. In addition, the existing left-hand entrance and exit ramps are not adequate. The reconstruction project, therefore, is undertaken to provide three continuous through lanes on the I-75, improve safety and traffic flow, replace old pavements and bridges, and reduce the accident rate. The entire project is divided to be constructed in three phases namely, phase 1A, phase 1B and phase 2. Phase 1A and 1B cover the northern and southern part of the project section, while phase 2 covers the area between phase 1A and 1B. Phase 1A of the project commenced in November 2007 and involved the reconstruction of the I-75 from Riverview Drive to Leo Street. 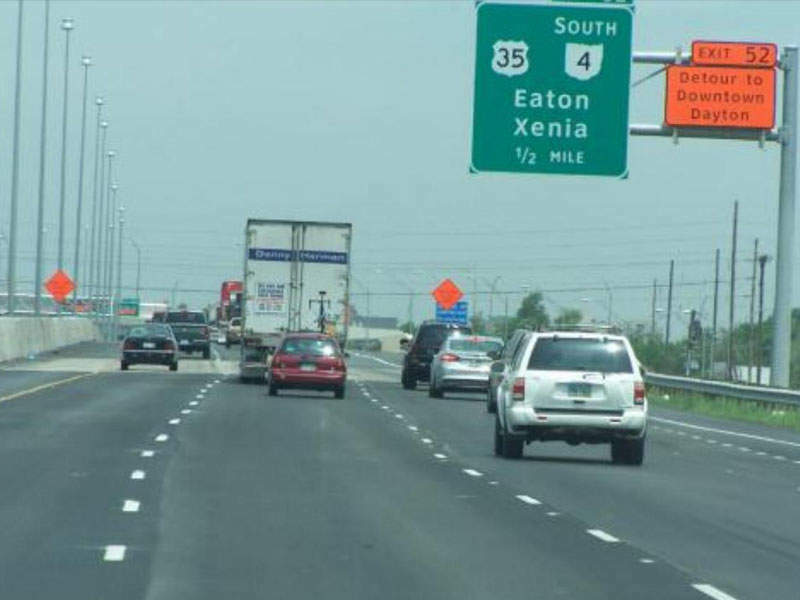 The construction works, which were completed by September 2011, included the reconstruction of the SR-4 (Dayton-Expressway) to accommodate three lanes of traffic, improvement of the northbound curve on the I-75 at SR-4, and widening of Main Street (SR-48) with enhanced entrance and exit ramps. The $157m phase 1A also consolidated local access to the I-75 by eliminating the access points at Keowee, Leo and Grand Street. The left-hand ramps along the route were replaced with right-hand exits and entrances. The construction works on phase 1B began in March 2010 and were completed by June 2013. Costing $71m, phase 1B included works on the I-75 mainline through the Route 35 interchange. A third lane in each direction, along the I-75 and US-35 interchange, was added in this phase. In addition, the northbound entrance ramp and southbound exit ramp were closed, and the bridge over the abandoned Conrail Railroad was removed. 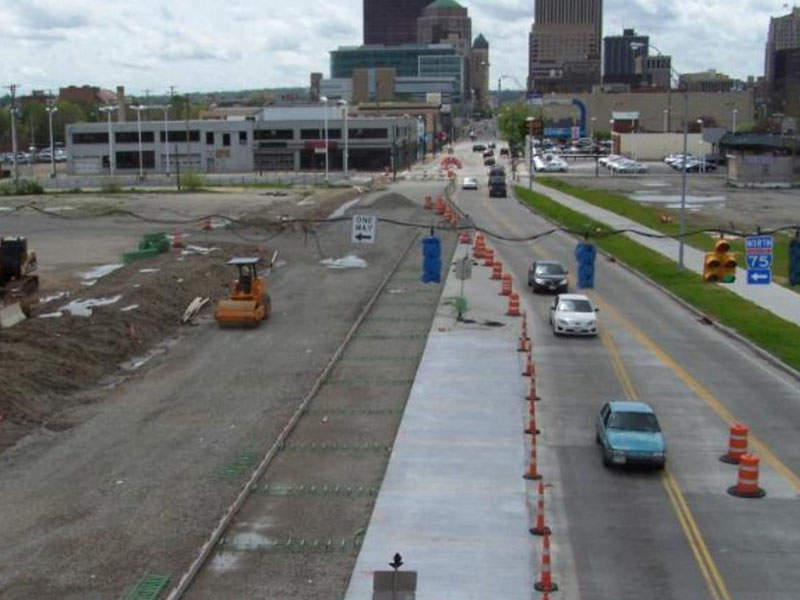 Phase 1B also included replacement of the structures in Stewart Street, Albany Street, Washington Street, the CSX and Norfolk Southern railroads, Edwin C. Moses Boulevard and Germantown Street, and partial replacement of structures in Cincinnati Street. Commenced in October 2012, phase 2 of the project includes the reconstruction of the road from Fifth Street to Riverview Avenue, the segment between phases 1A and 1B. The $262m project includes removal of all left hand entrance and exit ramps to reduce direct access to downtown and provide a single entrance and exit ramp in each direction. It also includes construction of an additional travel lane on the I-75 and construction of a new central interchange to Downtown Dayton. The two bridges over the Great Miami River will be replaced and the intersection capacity of First Street, Second Street, Third Street, Salem Avenue and Monument Avenue increased for off- system traffic. Phase 2 works are expected to be completed by September 2017. Kokosing Construction Company, based in Columbus, has been contracted to provide construction services for phases 1A and 2. Ruhlin Company was contracted to provide construction services for phase 1B.